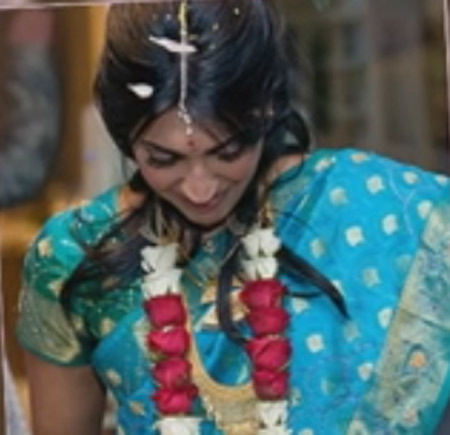 Indian-American Journalist Vinita Nair is a married woman. Though most of the journalist have a common tendency of keeping their personal lives under an umbrella, Nair openly talked about it. The former co-host of CBS This Morning Saturday, Vinita Nair, married her long-time boyfriend Osman Nawaz in 2009 and so far we can claim that there isn’t any news about the duo’s separation. And today, we are going to reveal all the inside information about their wedding, married life, and children. So stay with us. Vinita Nair after her marriage has maintained a low profile and hasn’t really revealed about her married life as of now. Since no news has hit the headlines on the media, we can assume that they are happily married and are doing great in their lives. 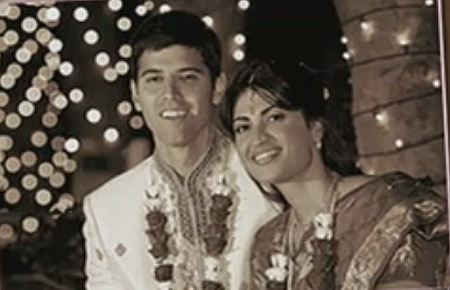 The American, television journalist, Vinita Nair, married her long-time boyfriend, Osman Nawaz, on October 10, 2009. The duo had a traditional Indian-themed wedding and being an Indian bride she wore a beautiful Banarasi saree and her to be husband wore a traditional dress Sherwani. Her workplace, ABC’s “World News Now,” congratulated and celebrated before her marriage. Later when she returned, she was kind enough to talk about her marriage and even showed the picture of her wedding. In any case, you admire her work and haven’t seen her wedding picture yet, well thank ABC’s “World News Now” for it. Also, Nair and Nawaz have been married for eight years now, and they have their own beautiful family. The couple is blessed with a baby boy. Their son, was born in January 2012 and they named him Tahir, it’s a Muslim name which signifies purity. Television journalist, Vinita Nair started her career as a writer for Today’s Chicago Woman magazine. She was also a reporter for Talk Radio News in Washington D.C. Starting her career in 2000, she has come a long way in her profession as a television journalist. She began working in television news at WGEM-TV, the NBC affiliate in Quincy, Illinois, as a general assignment reporter. In addition to that, she also became an anchor for daily morning and afternoon newscasts and reporter for KOLN/KGIN-TV in Lincoln, Nebraska. She joined ABC News in December 2007 as an anchor and correspondent for ABC News Now and also anchored live courage and news briefs for ABC’s digital network. She became a co-anchor of World News Now and America This Morning on ABC starting from September 17, 2008, to February 18, 2011. In 2011, she started working at MSNBC in New York, as a newsreader on Martin Bashir and anchoring the early morning news programs Early Today on NBC and First Look on MSNBC. On October 12 and 13, 2017, she appeared on Dallas-based ABC affiliate WFAA on News 8 Daybreak and America This Morning alum Ron Corning. Vinita Nair was born as Vinita Chandra Nair. She was born on September 8, 1981, in Evanston, Illinois and was raised in Texas. She graduated in journalism from Medill School of Journalism, of Northwestern University. Her career as a television journalist started at WGEM-TV, the NBC affiliate in Quincy. Nair joined ABC News as an anchor and correspondent in December 2007. She has also worked at MSNBC as a newsreader.